Google has been the principle driver of pagination issues and recommendations in the past. They have historically recommended that a page contain no more than 100 links for example; consequently, this lead people to split their content up into smaller (paginated) chunks. This is also done as part of improving the user experience, if for example you have a document / page with 8,000 words on it, you may decide to split this into 8 smaller pages. This makes it more digestible for users, but there is a specific method for dealing with this pagination (split up) content. 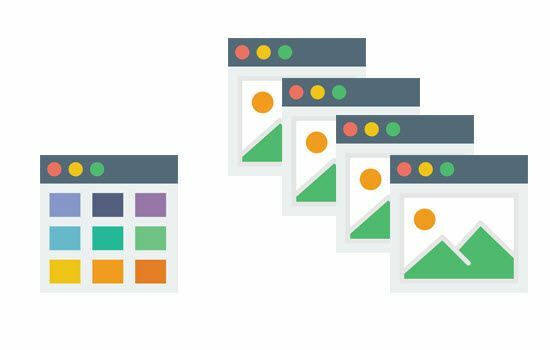 There are many different types of pagination, each of which we discuss in more depth later in this guide, but all are underpinned by this common thread: Each is a series of pages that belong together. There are variations on this, but in its simplest form, pagination refers to a structured series of pages that are connected in terms of their content. Let’s pick an example, you have a long article that’s 8,000 words and broken into logical sections, its well-illustrated and contains hundreds of links to sources and resources. Consequently, the page is request heavy and takes a long time to load for users and a long time to crawl for robots. You don’t want the scroll bar (see image below) to shrink to a few pixels high on your long content pages, as this can impact the user experience. 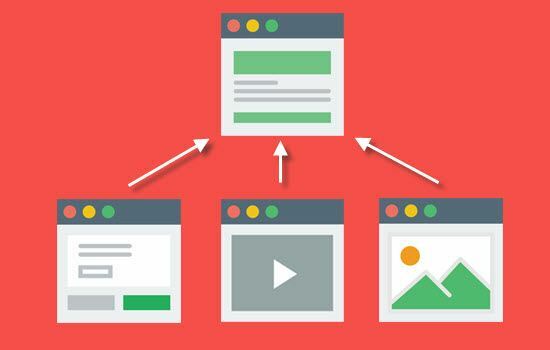 Long load times and inefficient use of crawl budget can be detrimental to your site in a number of ways. In this example, paginating this content may be the best idea. The key to this is in understanding the user, and what they want as well as understanding the key components. For example, Google say that users typically prefer a single page rather than having to click through page after page… They also say that this drops off with load times, the longer the load times the less interested users become. Hence there arises a natural equilibrium between the different things your users want… both of which boil down to easy access to your content. If you can provide ling content pages sufficiently quickly, they are generally preferable. Google prefer paginated content as it makes it easier to crawl, but they also state that you should do what’s best for the user. It’s also worth noting that splitting up a large piece of content into smaller chunks affords you the opportunity to target a wider range of keywords… This is much easier to achieve with multiple pieces of optimised content, than with one large piece of content. This can feed back into the user experience; smaller optimised chunks of content can be more appealing to users for a number of reasons. Being smaller and quicker to read is the obvious one, but typically that shorter content will be super relevant to the user’s original search query. In summary, you need to understand your page performance, user needs and have a good picture of the SEO opportunity to determine when to paginate content… ultimately this boils down to better serving the needs of the user. The image below shows what tags you would add to each of the pages in this series, we discuss the Rel tags and the guidelines for their implementation in the next section. This is a standard implementation and applies to most of the pagination types. The first page only contains only the rel=”next” markup. The second page up to the second-to-last page should contain both rel=”next” and rel=”prev” markup. The last page only contains markup for rel=”prev” markup. Google state that the rel=”next” and rel=”prev” links can be either relative or absolute… We recommend using absolute links. The Rel=”next” and rel=”prev” tags should be located within the <head>…</head> section of the source code, and not within the document <body>…<body>. Google allow rel=”previous” as a syntactic variant of rel=”prev” links. rel=”prev” and rel=”next” act as hints to Google, not absolute directives, meaning they can be ignored! Incorrectly implementing this leaves Google to determine what is going on and how they should deal with it, which is the definition of losing control of how your content is indexed and ranked. Using just canonical tags, you can canonicalize all of the paginated pages to the view all page. 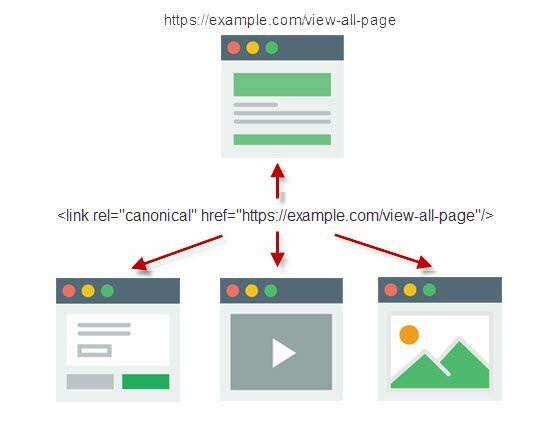 This will essentially indicate to Google that you do not want the paginated pages to appear in the SERPs as the view all page will be considered the canonical version. The paginated content is there for users but doesn’t serve much of a function beyond that. The alternative to the above, is to use the rel next and prev tags as we have previously described in this guide and put a noindex tag on the view all page. This has the advantage of allowing the more granular paginated content to rank in the SERPs, on the whole making it more relevant to user due to this granularity. This does mean that Google will not index or rank the view all page, rendering it really just for users. We have set out below the main categories or types of pagination that typically occur on websites. This type of pagination is where a piece of content spans a series of pages, we provided an example of this in the standard pagination section. As the name suggests this occurs most typically when you have a gallery of images, but each image has its own page / URL from which it can be accessed. You could deal with this in a number of ways; depending on how much you want the images to rank, if you want them indexed, how your users access this content, etc. This can cover a range of things, really anything that could be described as a ‘category’… For example; if you have an online shoe shop, and you have a “men’s” category of shoes, you may have 300 hundred shoes in this category, which is too many for one page. So, you paginate the series having maybe 10 category pages for men’s shoes with 30 shoes on each page. In this case the rel next and prev tags would be the ideal solution. If there is no (or little) difference in the page content, it would be best practice to simply canonicalize these pages to the main product page. If you’ve ever used Facebook, you will have seen infinite scroll… As you scroll down a page, the page automatically loads more content. This is popular for a number of reasons, such as improving load times. However, crawlers do not always access your site in the same way as a human, this can leave content unloaded and hence not indexed. If you use infinite scrolling on your site, you will need to follow the below recommendations to ensure that your content is indexable. 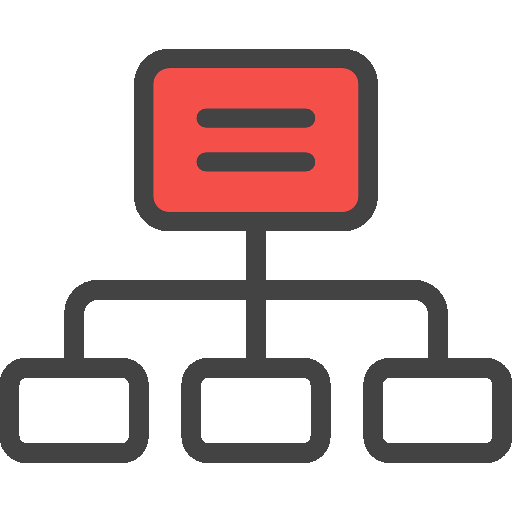 Split up the infinite scroll page into a paginated series using the rel next and prev tags, see our recommendations for this earlier in this guide. This will allow your content to get indexed by Google. Splitting up content and connecting it through ‘next’ and ‘previous’ buttons can leave some content many clicks away from the home page or most points of entry. This is advised against by Google and paginating this content properly will help to resolve this. 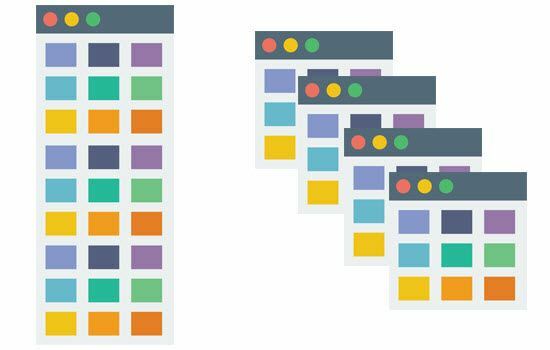 Having a view all page and the same content split out over a series of pages will lead to duplicate content issues… In fact, there are many scenarios that can result in duplicate content issues if the guidelines for pagination are not followed. We touched on this a few times, to stress the importance of letting the user inform your strategy. This is not as straight forward as adding a Page Title, you need to do your research, experiment, collect, look at and analyse the data. Page speed is a major factor in the user experience, and can be a deciding factor in where to paginate or not. Use Raptor’s SEO tools to analyse your site to determine if there are any pagination issues. Our SEO auditing and web crawler software can easily and quickly identify pagination issues.